Changing lives is our calling.
. who we are . Changing lives is our calling, and we’re here to provide hope to both animals and people in need. Our vision is that all Central Indiana animals are treated with dignity and respect and live free from cruelty, harm, and neglect. The Humane Society of Indianapolis is the leading voice for the welfare of animals and improving their quality of life. IndyHumane is the first choice in providing direct services for shelter cats and dogs, including adoption, foster home placement, positive reinforcement behavior training for adoptable animals, appropriate medical care, and affordable spay/neuter services. As the voice for the animals, IndyHumane brings together like-minded, animal-focused individuals and groups to educate the public about animal welfare issues and concerns. For more than 100 years, it’s all about the animals. You can view our annual reports, audited financial statements, and tax returns by scrolling a bit farther down this page. The Humane Society of Indianapolis (HSI) was founded in 1905 by nine individuals who wanted to make a difference for those who were suffering. At the time, the Humane Society of Indianapolis took in not just abused and neglected pets, but women and children of abusive marriages and relationships, as well. Over time, the Humane Society of Indianapolis’ role in the community changed to focus on animals — including inspecting the health of livestock for sale at Indianapolis City Market! — and moved into an office in the heart of downtown, just south of Monument Circle on Meridian Street. As the Society expanded to serve a larger number of animals, the organization’s footprint in the city expanded, as well, eventually holding properties as far north as the Indianapolis Zoo near its home at the time in Washington Park. In the mid-1960s, the Humane Society of Indianapolis’ leadership decided it was time to consolidate and establish a single location for all their operations. In 1965, HSI purchased a small farm at the corner of 79th Street and Michigan Road from local legend Otto Ray. The farmhouse and several outbuildings — all larger than the organization had worked in previously — were converted to housing homeless and abused animals. Dogs and cats were kept near horses, donkeys, and other barnyard animals, and just a handful of staff and volunteers took care of everything. In the late 1980s, both Indianapolis and animal welfare laws had changed significantly, and HSI was tasked with called upon less and less for barnyard animals and more and more for dogs, cats, and other domesticated pets. A plan was put together to build a brand-new shelter specifically to house and care for companion pets, and the facility as we know it today began taking shape. Construction lasted between 1989 and 1991, and the new shelter – with capacity for 300 dogs, cats, and small mammals – opened to a wave of excitement and community support. Not long after, however, HSI leadership realized the need to add more medical capacity to adequately handle the complex medical needs of shelter pets, and to better care for sick and injured pets in a shelter setting. The 12,000-square-foot wellness center, created with the assistance of Halstead Architects, has allowed us to continue expanding our services to animals and owners in need throughout Indianapolis. We invite you to read the latest news, keep up to date on our programs and services, and view our financial statements. want to get involved at IndyHumane? See a list of programs and opportunities below! Home to our Low-Cost Spay/Neuter Clinic, our Low-Cost Vaccine Clinic, and the happiest feral cats in Indy. The Animal Welfare Center is strategically located in the Haughville neighborhood, which was identified as one of the areas most in need of affordable animal welfare services. It houses one of our Albert G. and Sara I. Reuben Vaccination Clinic locations, offering low-cost cat and dog vaccines, as well as IndyHumane’s Low-Cost Spay/Neuter Clinic, which provides low-cost spay/neuter surgeries for dogs and cats (including feral/community cats). However, our services are not limited to those areas! 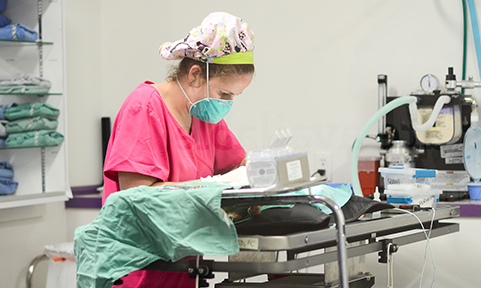 Click the links below to learn more about the services offered at our Animal Welfare Center!